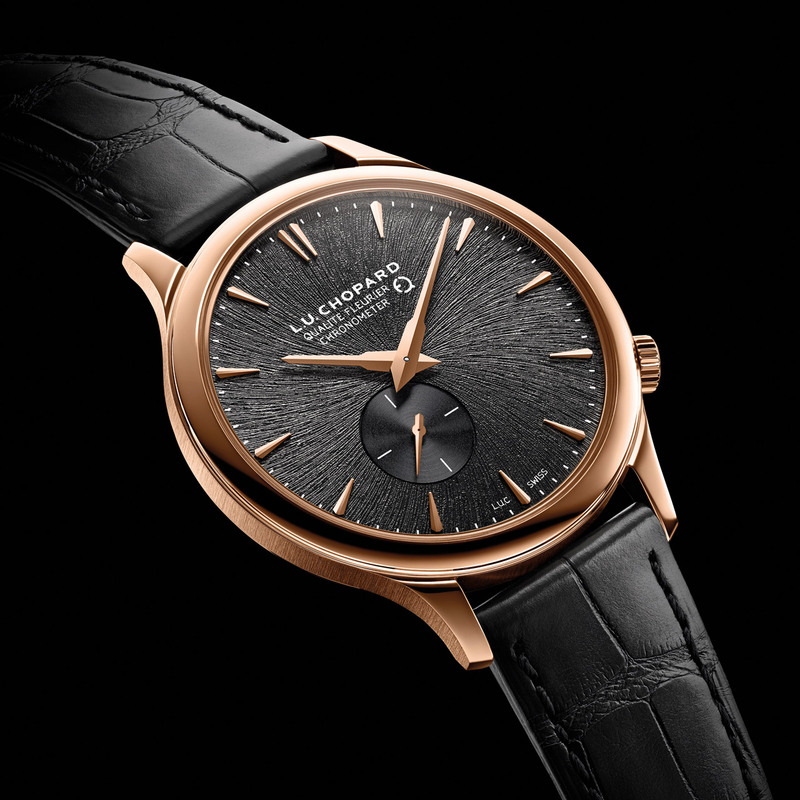 A pioneer in the development of sustainable luxury, Chopard launches a new L.U.C watch made of ethical pink gold: the L.U.C XPS Twist QF Fairmined. Crafted in the Chopard workshops where gold from “Fairmined” certified sources is rigorously separated from other alloys in order to guarantee complete traceability, the ultra-thin case radiates a subtly off-centred expression of elegance, with the 4 o’clock crown echoing the asymmetry of the small seconds appearing at 7 o’clock on the dial. The latter is swept over by raised sunbeam motifs evoking the texture of raw gold nuggets. 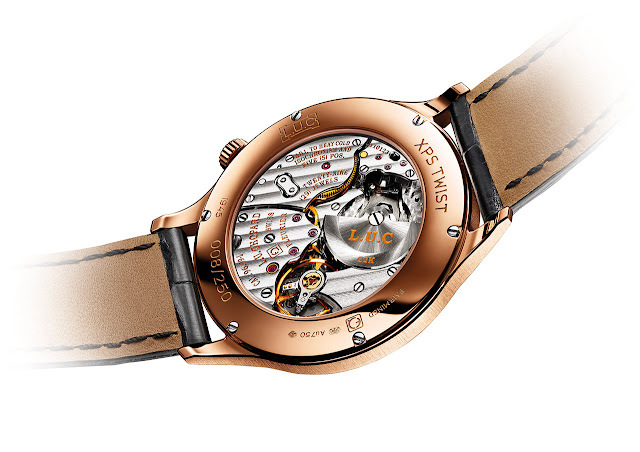 The remarkably technical L.U.C. XPS Twist QF Fairmined bers the Fleurier Quality Foundation label, the most demanding certification testifying to the precision, reliability, durability and quality of the movement finishing, as well as the provenance of the watch as a whole – of which each component must be made manufactured in Switzerland. 250-piece limited edition. 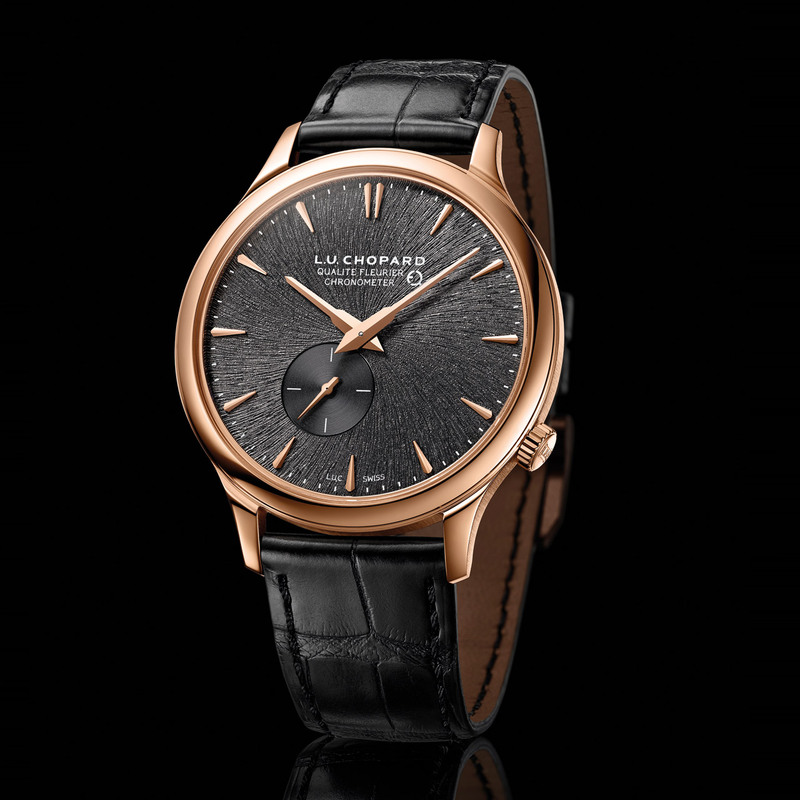 Mechanical automatic, L.U.C 96-09-L calibre, Fleurier Quality Foundation label and COSC chronometer certification, 29 jewels, 28,800 vib/h, Twin® barrels, 22K gold micro-rotor, bridges adorned with Côtes de Genève, 65-hour power reserve. “Fairmined” 18K pink gold, 40 mm in diameter, 7.2 mm thick. Anti-reflective sapphire crystal. Sapphire case-back. Water-resistant to 30 metres (3 bar /100 ft). Slate grey with stamped motif. Matt black alligator dyed with plant-based pigments, CITES certified, hand-sewn. Alligator lining. 18K pink gold pin buckle.